OVERKILL announced 18th studio album! 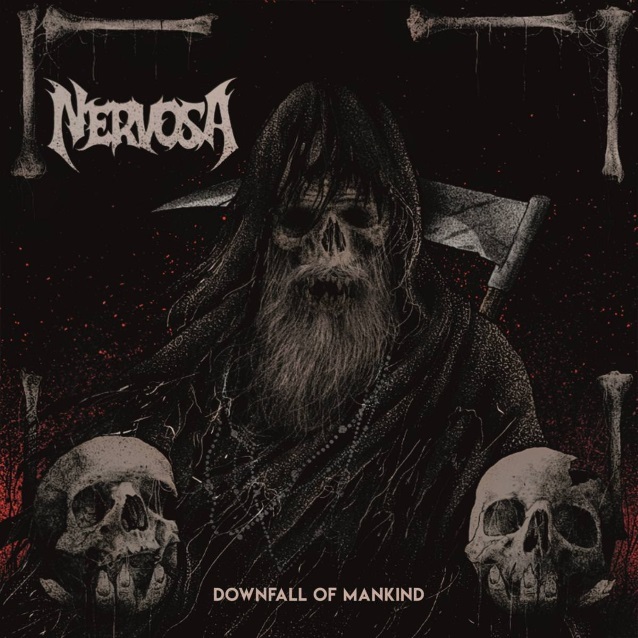 Brazilian all-female thrash group NERVOSA will release its third full-length album, “Downfall Of Mankind”, on June 1 via Napalm Records. The disc was recorded at Family Mob Studio in São Paulo with Argentinian producer Martin Furia, who worked as a sound engineer on some of NERVOSA‘s European tours, as well as for bands like DESTRUCTION and FLOTSAM AND JETSAM, and produced recordings for EVIL INVADERS and SISTERS OF SUFFOCATION, among others. “Downfall Of Mankind” features guest appearances by João Gordo (RATOS DE PORÃO), Rodrigo Oliveira (KORZUS) and Michael Gilbert (FLOTSAM AND JETSAM). 06. … And Justice For Whom?